A sensorineural hearing loss is characterized by the failure of nervous impulses to reach the brain. This permanent hearing loss can be caused by damaged nervous cells of the cochlea or difficulties with the upper auditory pathways. This condition is not medically or surgically treatable, in most cases hearing aids and assistive listening devices are used to adapt to the hearing difficulties caused by a sensorineural hearing loss. Age-related hearing loss is also known as presbyacusis. Other than hereditary reasons, this is the most common cause of permanent sensorineural hearing loss. Presbyacusis is the natural let-down of the cochlea’s nervous cells due to aging. High pitch sounds are most affected by this form of disability, individuals with presbyacusis will have noted difficulties hearing speech consonants, understanding speech in background noise and hearing high pitch sounds like a birds chirp. 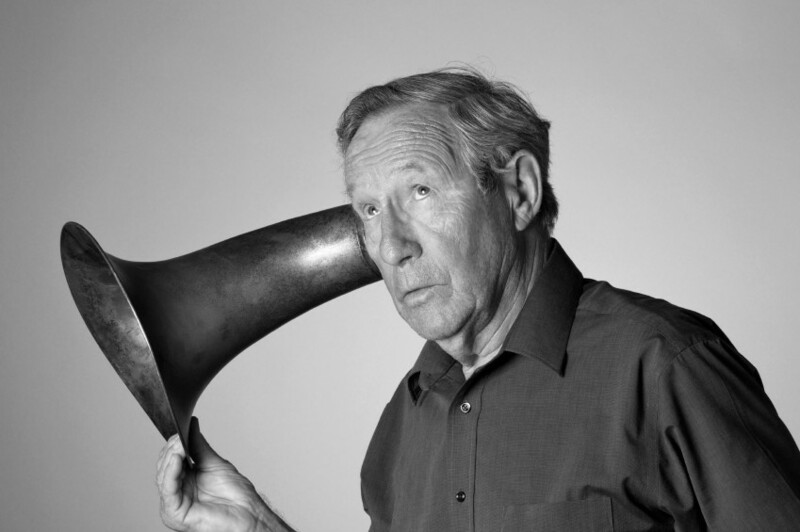 Age-related hearing loss is often accompanied by tinnitus. Noise-induced hearing loss is triggered by exposure to loud noises. Individuals exposed to prolonged periods of excessive noise can develop this permanent sensorineural hearing loss. Listening to music at loud volumes and motorcycle riding without hearing protection are frequent causes of noise-induced hearing loss. In cases where a noise-induced hearing loss is the result of excessive noise in the work environment, it will be referred as a professional hearing loss. In Quebec, individuals with a professional hearing loss can benefit from CSST support programs. Noise-induced hearing loss can otherwise be triggered by sudden extremely loud sounds such as a gunshot. Individuals of all ages can be affected by this form of hearing loss, often accompanied by tinnitus. Similar to age-related hearing loss, the disability has greater impact on high pitch sounds. Unlike many other forms, noise-induced hearing loss can be prevented with proper hearing protection and by eliminating noise at the source. Congenital hearing loss refers to a hearing loss that is present at birth. It can be caused by genetic and non-genetic factors. The genetic hearing loss is the most common cause of hearing loss. This hereditary disability can be triggered at birth or develop later-on during the individual’s life. Premature labour and lack of oxygen at birth are non-genetic factors that can cause a congenital hearing loss. Similarly, complications during pregnancy such as maternal viral infections, toxin consumption and maternal diabetes cause the disability. Systematic neonatal hearing screening programs are being developed nation-wide to identify hearing loss at a young age. Early detection of congenital hearing loss will result in a prompt intervention treatment which increases the chances of normal speech and social development. Meniere’s disease is an inner ear pathology that affects hearing and balance. A fluctuating hearing loss is often accompanied by tinnitus and vertigo. Individuals suffering from Meniere’s disease may feel fullness in the ear. Vertigo episodes may arise suddenly and can last for periods exceeding 15 minutes. It is thought that this disease is caused by excessive liquid in the inner ear and treatment plans often include the modification of dietary habits. An ENT specialist must be consulted if the symptoms described are experienced. A sudden hearing loss is the rapid deterioration of hearing acuity that may continue to decline for three consecutive days. In most cases, sudden hearing loss is observed in one ear. Ototoxic drugs are a common cause of sudden hearing loss. In these cases, the disability might be accompanied by tinnitus and vertigo. A sudden hearing loss must be treated as an emergency and a physician must be consulted quickly. The physician will investigate the reasons of the hearing loss and prescribe a cure when possible. Sudden hearing loss can be treated with steroids or antibiotics in certain cases caused by infections. For ototoxic drugs, it is recommended to immediately stop the use of the problematic medication. A visit to the audiologist and to an ENT specialist is equally important for proper treatment of a sudden hearing loss. Acoustic neuroma is a noncancerous tumor on the auditory nerve that carries nervous impulses from the cochlea to the brain. This tumor will cause a sensorineural hearing loss and usually affects only one ear only. Acoustic neuroma is often accompanied by tinnitus and vertigo. Treatment of this rare pathology requires a collaborative medical team approach that includes the expertise of a neurosurgeon and ENT specialist. Surgery is an optional treatment that can be undertaken. A conductive hearing loss is usually a temporary hearing loss the can be treated medically or surgically by an ENT specialist. It is caused by dysfunctions in the outer ear or in the middle ear that prevent the sound waves travelling in the air to soundly reach the inner ear. Hearing aids can be used while waiting for the medical intervention or as an alternative treatment option. Middle Ear Infections are also known as otitis media. Otitis Media is an infection in the middle ear causing fluid buildup behind the eardrum, thus limiting the movement of the middle ear’s mechanical chain. The eardrum and ossicles lack of mobility results in a conductive hearing loss, sound waves are not transformed into amplified vibrations like they should. Otitis Media can be treated with antibiotics. In cases where the infection persists or occurs frequently, an ENT specialist can perform a small procedure called a myringotomy. A myringotomy is an incision in the eardrum to insert a ventilation tube through the eardrum to allow for the draining of the fluid in the middle ear. The tube placed will allow for normal hearing acuity and should remain in place for 3 to 12 months. Middle ear infections are more frequent at a young age and can disturb proper speech development. Bone conduction hearing aids can be used to overcome the limits caused by a middle ear infection. When using these hearing aids, sound waves find their way directly to the cochlea via the temporal bone. Consequently, the conductive hearing loss will have no effect on the person’s ability to hear sounds. Use of traditional hearing aids is not recommended for middle ear infections. Can be the result of head trauma, middle ear infections or from the failure to heal after a ventilation tube has fallen out. Perforated eardrums cause a temporary conductive hearing loss. It is imperative to avoid water in the ears when one has a perforated eardrum. Water finding its way to the middle ear can cause recurrent middle ear infections, thus the perforated eardrum cannot heal. To avoid water in the ears, audiologists recommend the use of specialized hearing protection products when swimming or during bathing and showering. In most cases, a Perforated Eardrum will heal by itself while in some cases it requires medical intervention. An ENT specialist can perform a surgical procedure called a tympanoplasty to repair an eardrum perforation. Is a progressive disorder that results in the fixation of the stapes, the third bone of the ossicles. This condition is thought to be a hereditary disorder and can be associated with tinnitus and vertigo. It can be treated by using hearing aids to overcome the difficulties caused by the hearing loss or by undergoing a stapedectomy. A stapedectomy is a surgical procedure done by the ENT specialist to replace the stapes by a piston. The ossicles have an important role in the conduction of sound waves from the outer ear to the inner ear. The eardrum is attached to the malleus; the malleus is connected to the incus which is connected to the stapes. When an individual endures multiple middle ear infections, a cholesteatoma or head trauma, the articulation between these fragile bones can be separated. The Ossicular discontinuity that results will cause a conductive hearing loss often accompanied by tinnitus. 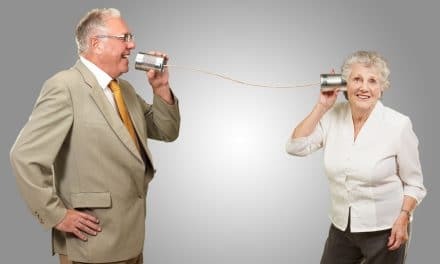 The conductive hearing loss can be treated with hearing aids to amplify the incoming sound and balance out the shortcomings caused by the discontinuity. Otherwise, surgery can be performed by an ENT specialist to reconstruct the Ossicular chain. 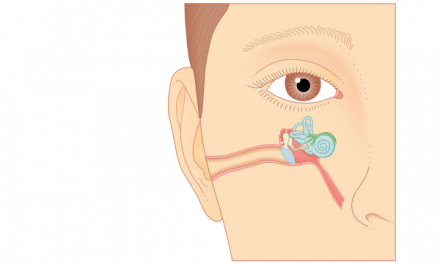 Is a condition where dead skin is produced in the middle ear to form a cyst behind the eardrum. In addition to ear pain and tinnitus, cholesteatoma may also cause the erosion of the ossicles or trigger recurrent middle ear infections and perforated eardrums. This condition requires a surgical intervention done by the ENT specialist to remove this middle ear tumor. Also known as otitis externa. It is the inflammation of the outer ear canal caused by a bacterial infection. Sometimes referred as swimmer’s ear, this condition is often the result of water remaining in the ears after an individual has gone swimming. Otitis externa appears suddenly and can aggravate rapidly. The outer ear canal becomes red and the individual might experience ear pain and high sensitivity at the infected ear. This infection can trigger draining of pus from the ear canal, which may also be the cause a conductive hearing loss. Prompt treatment with eardrops is essential to prevent further complications. Cerumen or earwax is a natural secretion of glands in the outer ear canal that helps keep the ear safe and clean. In some narrow ear canals or when the cerumen has less of a lubricating quality, the earwax can become impacted and cause a conductive hearing loss. 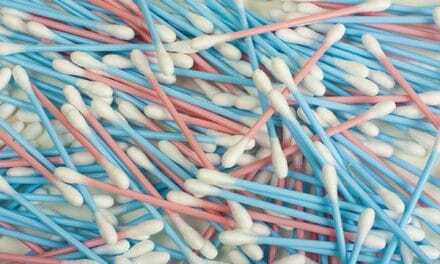 Impacted earwax must not be removed by cotton swabs (Q-tips) as they remove the natural ear lubricants and can push the earwax deeper in the ear canal. One must use natural oil products or carbamide peroxide over the counter softening agents to facilitate earwax removal. If this does not help, earwax should be removed by an accredited healthcare professional. Congenital condition where the outer ear has not developed properly at birth. After a hearing test, hearing care professionals will be able to find out if this is only a conductive hearing loss or a mixed hearing loss. A bone anchored hearing aid can be used in cases where the hearing loss caused by the atresia is only a conductive one to ensure proper development of speech. A hearing loss caused by a combination of both conductive and sensorineural hearing loss. Head trauma is the most common cause of mixed hearing loss. Injuries to the head can cause damage to the delicate structures of the middle ear or the inner ear. A head trauma can therefore cause a temporary or permanent hearing loss and can be accompanied by tinnitus. If the injury is sustained in the middle ear, the conductive hearing loss may be restored by an ENT specialist. In cases where it is a permanent sensorineural hearing loss, hearing aids can be used to adapt to the hearing difficulties.